Mesothelioma is a form of cancer primarily caused by prolonged exposure to asbestos. Though the symptoms of the deadly disease are readily apparent, oftentimes early warning signs can be overlooked because of their similarity to other common ailments. In addition, because of symptoms that occur between 15 and 50 years after initial exposure to asbestos, mesothelioma is rarely caught in its early stages. 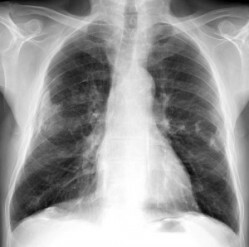 Due to the evasive nature of this disease, it is important to undergo pulmonary function tests or chest x-rays if one is sure of previous exposure to asbestos; unfortunately, few individuals actually take this initiative, and knowledge of the symptoms of mesothelioma is, therefore, necessary. Mesothelioma most often manifests itself in the forms of Pleural, Peritoneal, and Pericardial mesothelioma; these three forms occur approximately 65 percent of the time, 30 percent of the time, and five percent of the time respectively. Though all three are forms of the same disease, each one presents distinct symptoms. Mesothelioma cases are pursued by personal injury lawyers perhaps more than any other type of case. The payouts from settlements by the companies pursued by the attorneys can be substantial. Unfortunately, the biggest cost is paid by the families that lose their loved ones to Mesothelioma.